The multi award winning Nissan Qashqai Crossover takes sports SUV performance and practicality to the next level. Easily being regarded as one of the best examples in its class. Available in 4 trim and spec versions from the entry level Visia to the top of the range Tekna. Petrol and diesel engines are an option with manual and automatic transmission also available. Fuel return up to 74.3mpg can be achieved with the 1.5 litre diesel engine version. The 1.6 litre DIG-T can go from 0-62mph in just 9.1 seconds, impressive for an SUV of this size. The interior can only be described as hi-tech with a solidly built feel and a list of technology and equipment to put to shame any rival in its class. The raised height of the driver’s position makes for an ideal all round view. Boot space should never be a problem with 430 litres of space on offer. The seats fold flat too to create even more space. Equipment as standard is impressive even on the entry level model which includes electric parking brake, hill start assist, cruise control, Bluetooth with smartphone integration and ABS. 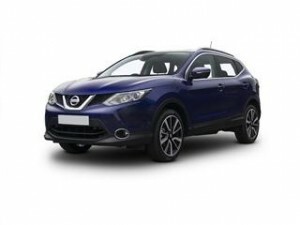 Our focus here at Coast2Coast Cars to save you money on a brand-new Nissan Qashqai. Our UK franchised dealers can all offer their customers brand-new Nissan’s at discounted prices complete with manufacturer’s warranty as well. An array of finance options is also available which can be discussed after you have received your discounted price quote. We are a small family run business prides itself on helping you save money on your next brand-new Nissan Qashqai car.